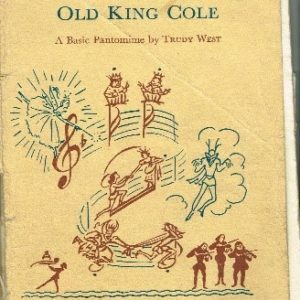 This is the only photograph, taken during rehearsals, that is presently available from this pantomime – but it is fortunately not the only piece of memorabilia that has come to light – as a copy of the inner two pages of the programme has been found! 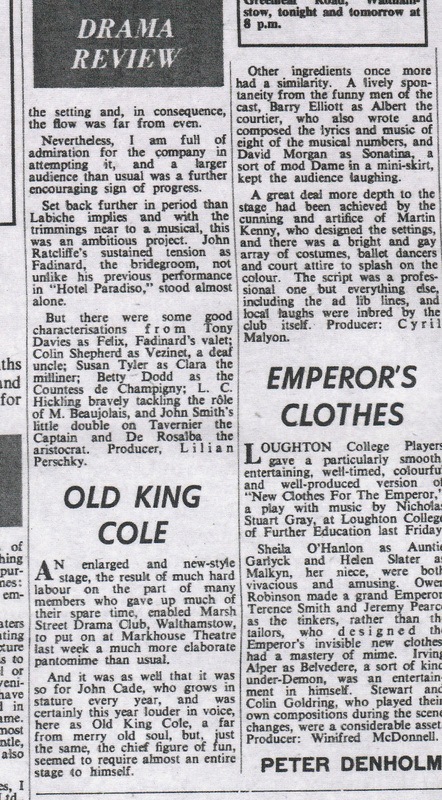 In addition to the cast list shown below, the programme notes also provide a couple of interesting snippets of information about the Drama club at that time – albeit with a few missing words – as shown! ‘Much has happened since our last production and the new style stage is the result of much hard labour by many members who gave up much of their time. 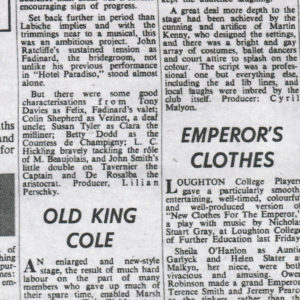 Note: It is interesting that at this time the programme shows that the formal title of the Drama Club was clearly that of ‘Marsh Street’ – also that the Associate organisation is referred too – which, if recall is correct, was formed to comply with the licensing limitations. e.g. that performances could only be for ‘members’ – not the public! The R Riches referred to is, of course, Susan, Judith, Chris and Michael’s dad who, along with their mum, were great supporters of the club. But who was H Fearon? 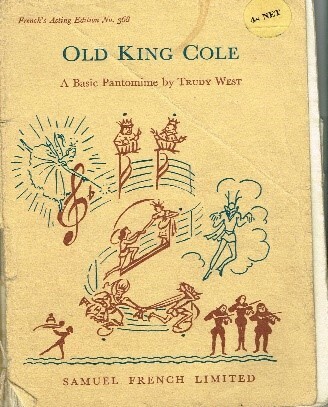 If you have any clues to this – or indeed any further memorabilia or information about this production, then please get in touch via the Contacts Page. Demons: Lindsey Kent, Susan Rogers, Debra Prentice, Debra Baker, Jacqueline Twomey & Janet(Janice?) O’Conner.